Few days ago I received our latest Mixbook photo books. Always it’s a cute surprise to receive by mail. It seems Mixbook has become my favourite photo book company simply because of the easy to use photo book making software, quality of the books, appearance and finally don’t forget the price. 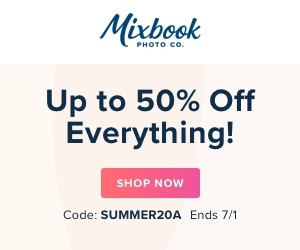 From few years I use Mixbook for our photo books and I also saved money by using the Mixbook coupon codes which is sometimes upto 50% off. This time I used a Buy 1 get 1 free offer to order our photo books. So, I received 2 photo books at the same time. Simply it’s a good deal, isn’t it? 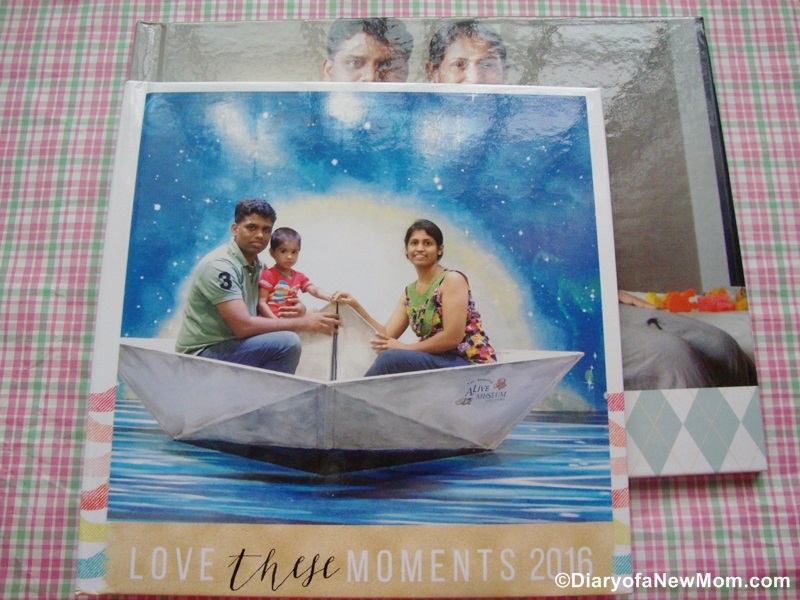 Although I’ve shared a Mixbook photo book review last year, here is our latest experience with Mixbook. Mother’s day is reaching. If you are looking for a unique gift for your mom, wife, cousin, sister or any friend who is worth appreciating on this Mother’s day, I guess a photo book can be a great idea! And it doesn’t cost much considering the other gift ideas around. Anyway, here is my review on our latest Mixbook Reviews and experience! 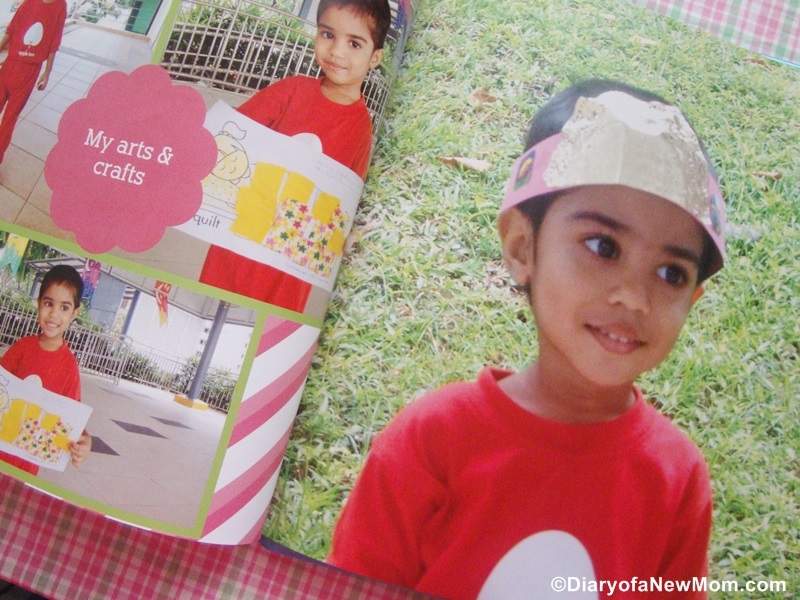 Few months ago I created a photo book for preserving our kid’s playgroup memories. For this photo book I used the arts and crafts photo book template and customized it using our photos. 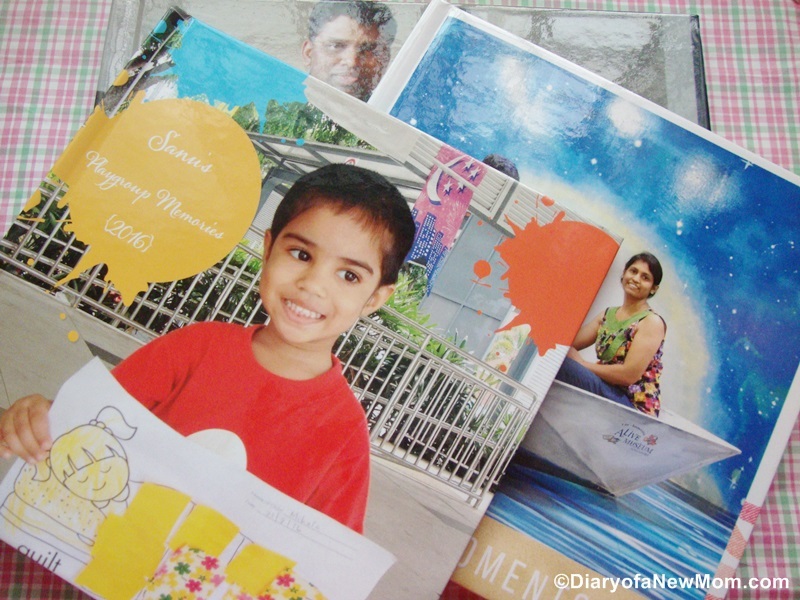 Although this photo book template shares art and crafts of kids, I used memories and moments from our kid’s playgroup year. This includes photos of his first day to Playgroup, photos with teachers, some of his favourite arts and crafts, celebrations and festival moments from Playgroup and finally the playgroup graduation photos. Completely it is a memory keepsake for playgroup year. Check Arts and Crafts photo book here. 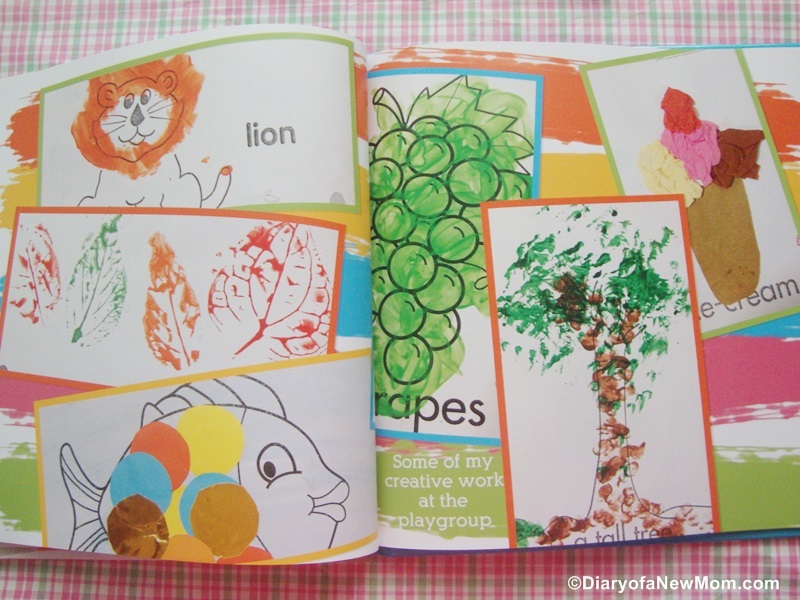 I included moments from his playgroup year for the arts and crafts photo book.I used this template. 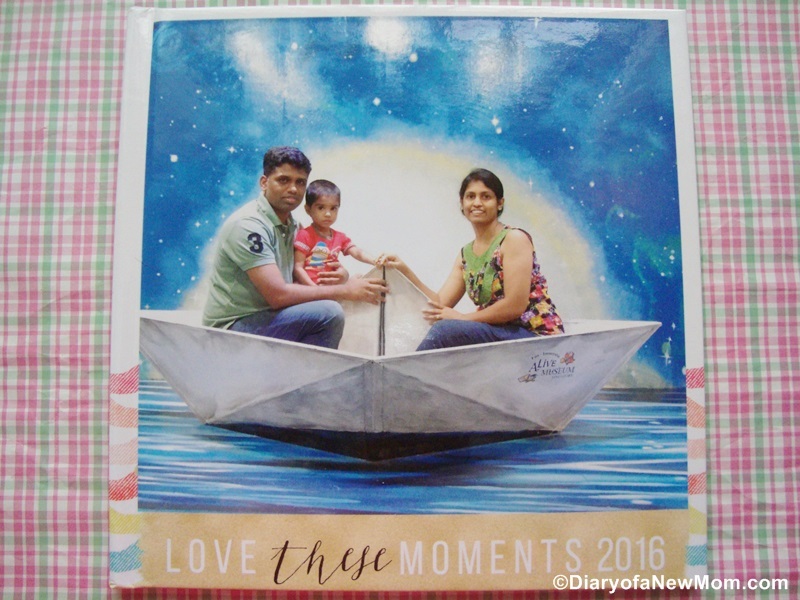 I created another photo book for our 2016 memories. Last year I ordered a photo book for our 2015 memories. That was so good because we always go through these memories and enjoy precious moments. Inspiring from that experience, I created another photo book for 2016.I really love these photo books. I used this photo book template and customized it with my choices. So beautiful and so cute! With this 2 photo books, here is my Mixbook photo book review which may be helpful for you too. This time I ordered square shape books of size 8.5*8.5’’ hard cover glossy finish photo books. The pages are thick and quality. Colours of the photo prints are natural and similar to the photos I uploaded. I ordered hardcover glossy finish, so the appearance is different from leather or premium lay flat design. However, although this is not a lay flat photo book, still it is easy to turn pages and use. If you like lay flat designs, you can upgrade your order at the time of completing the order! Well, this is something that I need to mention. 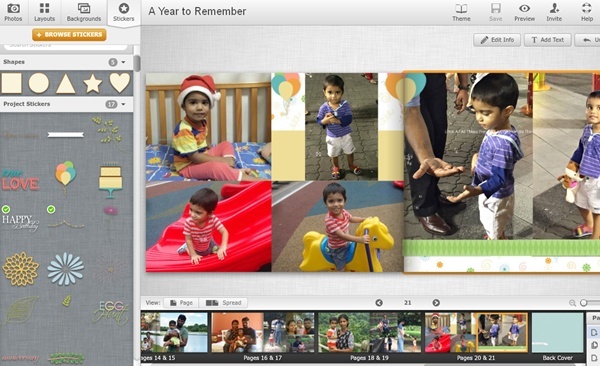 There are different size options which you can select when you create a photo book with Mix book. In my previous year order, I ordered landscape photo book. This time it is square and 8.5*8.5’’ in size. When I compare the sizes and shapes of the books, I really like the recent photo books which are of square shape. These books look better in appearance than our previous landscape book which is also large in size. Anyway, that is up to you to select the best size for you. I may continue with same size even in my future orders too. Mixbook photo book software is always easy to use. I always start with a photo book template from their photo book collection. But, I customize the photo book including backgrounds, changes for fonts and letter sizes. These are really easy with the photo book software which anyone who is even a beginner can follow. This is one of the reasons for me to continue with creating photo books each year. Check : How to create a photo book. These are photos from our visit to the Singapore East Coast Park. 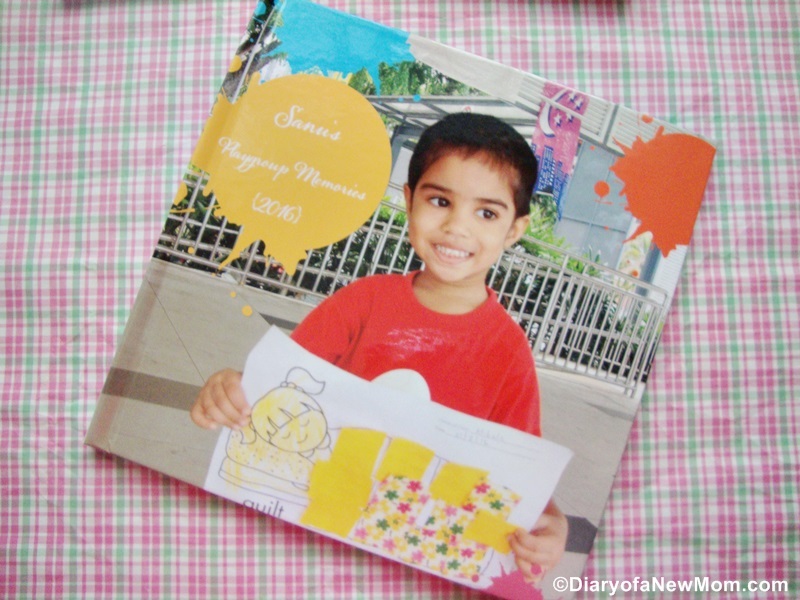 In this Mixbook photo book review, I can’t stay away from mentioning the price. It is really reasonable comparing with the other photo book companies I worked with. 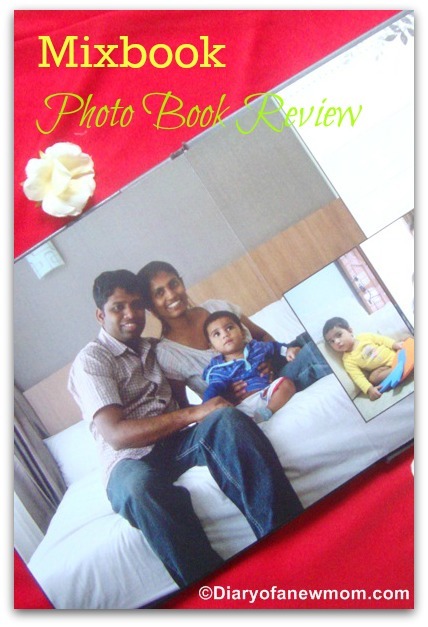 Photo books starts with the rate $15.99 which finally creates a durable photo book than a conventional album. Considering the price of photo albums and costs for printing photos for the album, creating a photo book with Mixbook is really cheaper. And don’t forget, printing photos is something never happen to most of us although we want to print. So, I prefer creating photo books online using the digital files. After spending few hours, it is done! 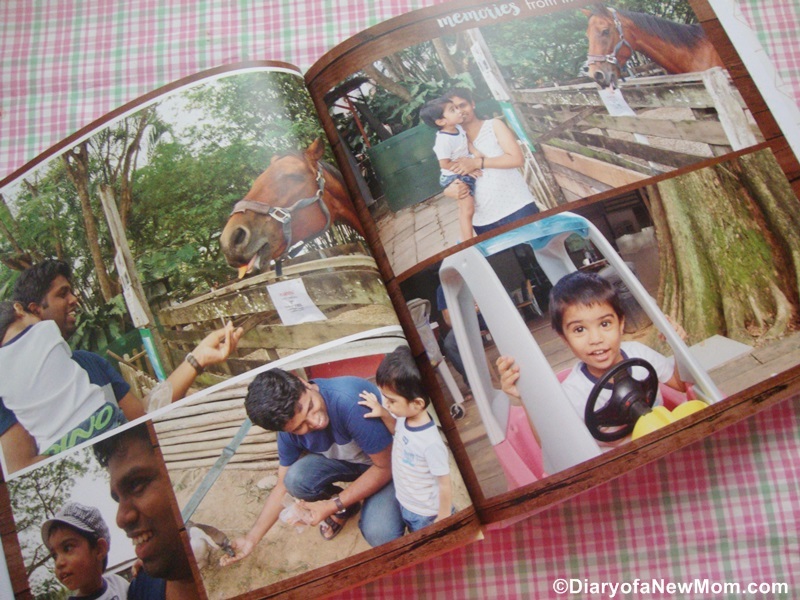 Photos from Alive Museum Singapore.These photos made our family photo book colourful and exciting! Above are some of the qualities I admire while creating photo books with Mixbook. Other than that, I always love to use Mixbook coupons to save money from my orders. This photo book company is awesome when considering the coupons and offers they give time to time. 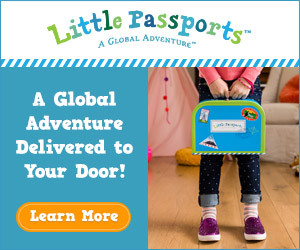 Their discounts are amazing and up to 50% or over. Sometimes they offer buy one get one free offers too. (BOGO).Actually this time I ordered 2 photo books using Mixbook coupons and that results me having 2 photo books for the price of one! Simply awesome! To get the latest Mixbook Coupons, you can check below image ad. Finally, my experience with Mixbook is always awesome. I really like creating memories with this photo book company. Don’t forget they also offer other items such as photo cards, home décor, photo prints and Calendars. Visit for more details. Don’t forget to start your photo book right now! Check Mixbook.comMixbook.com and start making your photo book! Disclosure: I received shopping credits from Mixbook and I ordered photo books using the credits.No monetary compensation received for sharing this review.All opinions are mine.Also this post contains affiliate links. As Mixbook is one of my favourite photo book creating companies I want to share this Mixbook Photo Book Review to help you to decide on creating your next photo albums. Actually Mixbook is not only a company which provides the facility to create photo books.They also offer wide range of products and services which are really helpful for anyone who loves creativity and who loves to organize things in a better way. You can easily find beautiful themes and designs for birthday invitations and baby shower invitations. 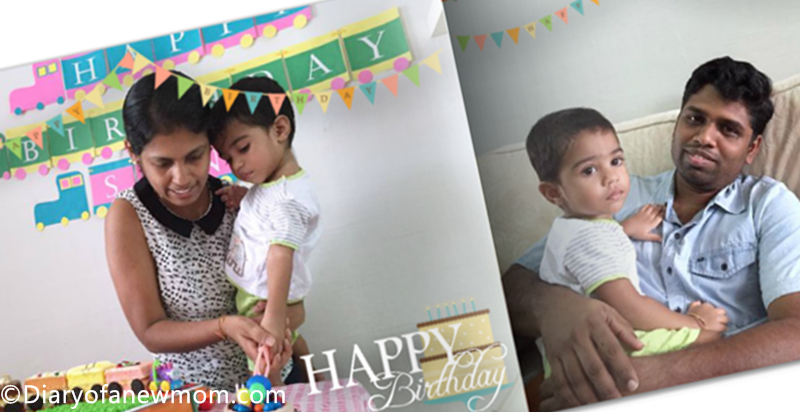 Not only for baby birthdays, you can also use photo printing service for other events such as your wedding or even for travel memories. Are your phone and computer full of digital photos? Why don’t you think of printing some of the best photos and create photo albums? With Mixbook you can also order photo prints and the rates are really affordable. Thinking of decorating your home with some beautiful wall art? I always love to create canvas prints using my travel photos which I am proud of. Printing a beautiful canvas print is really easier with Mixbook as you can do all just by staying in front of your computer within few single clicks. What I mentioned above are some of the things which you can do with Mixbook.com. Just by visiting the site, you can find more details of their products.If you love to create a scrapbook online,their photo book making software is really fun and easy to use. 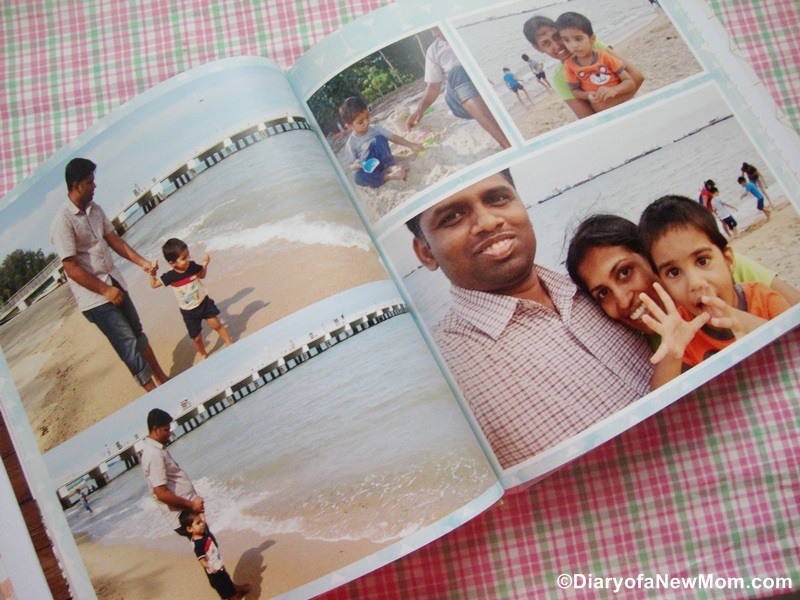 Actually in this post, I want to share about Mixbook Photo books which I always love to create. I’ve shared some Mixbook reviews before and I also plan to share a Mixbook birthday photo cards review in future. Till that, here is my review on recent photo book created with Mixbook. If you remember, recently I shared a post about my experience on creating a photo book with Mixbook. 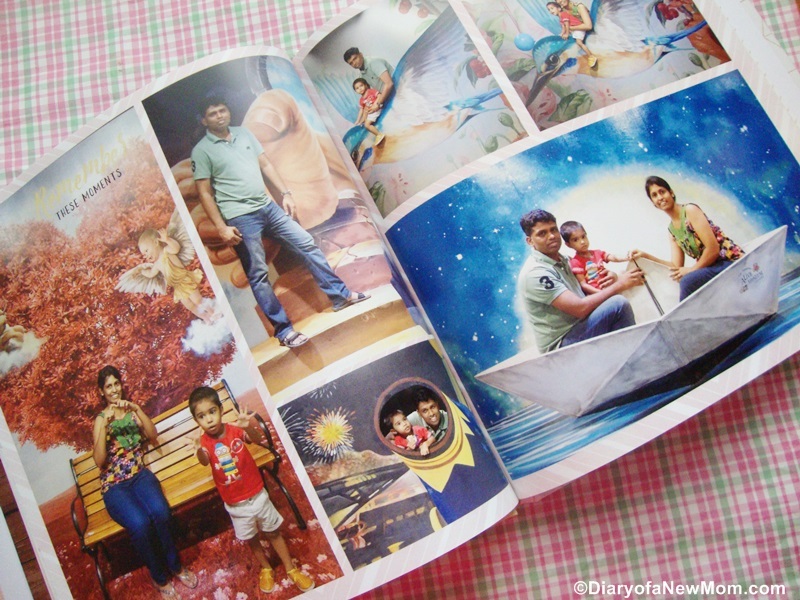 Now, it is time to share the actual experience and review of Mixbook photobook. Truly I love to create photo books with Mixbook. There are many reasons for me. But, to keep the post simple and short, below are some of the reasons to choose Mixbook as my favourite photo book creating company. Use of the Mixbook photo book making software is really easy and fun. I could select a beautiful design from the available designs. What I like most is that I could insert text as I want. I could also change the design and insert some custom pages to my photo book when I create it with Mixbook. I could create custom pages as I like.Use of stickers and text was really fun and it is a good way to write some memories on the photos. Finally, the rates are really reasonable and shipping rates are not so high. I also want to mention another feature I really like and which I use for my next photo book with Mixbook. It is the facility of adding contributors. That’s really helpful when we need to create a photo book together with friends and other family members. Here is how I use that feature and why I like Mixbook so much. If you heard, recently Sri Lanka faced to an unexpected severe flood situation. Our homes were flooded too till the roof top. ( http://foodcnr.com/help-victims-of-sri-lanka-floods/) Can you imagine the condition of my school day photos and childhood day’s photos? All are damaged and I really feel sad. But, now I have facility of collecting the photos from my school friends who live in different countries. Using the Mixbook facility to create photo books with contributors, I started another photo book to print some memories from school days. As my other friends have their own copies; I invited them to contribute to my photo album with photos they have. It is so much fun and really helpful to collect some of my photos. Overall I am happy with my photo books created with Mixbook and I’d like to recommend this photo book making company for anyone who likes to preserve family memories. You can easily preserve your family memories with Mixbook! How to save money when you order your photo book? Well, this is for those who like to save money from their shopping. Do you know that Mixbook offers really good deals time to time? To receive the latest updates, you need to join with their Newsletter. When you visit Mixbook.com, create an account and start creating your photo book. 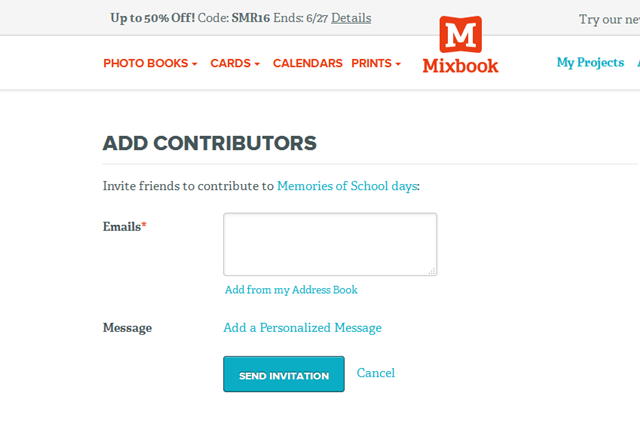 While you create your Mixbook photobooks, you can keep an eye on ongoing promotions. Some promotions offer upto 50% discounts on photo book prices. Some time they also offer free shipping. They send Mixbook coupon to your inbox and when there is a great discount you can order your photo book. This is the best way to save from your photo book. 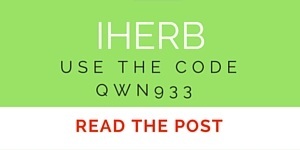 Other than using Mixbook coupon codes, you can also join with their refer friends program. That will allow you to earn $20 when your friend orders a book. 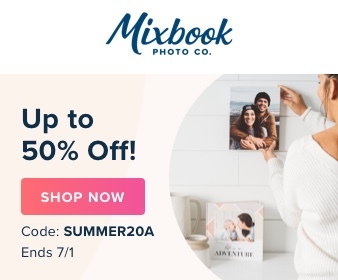 Don’t you think making photobooks are really awesome way to preserve family memories?Check Mixbook and see how amazing their photo book designs are! Use the below banner and use the mentioned latest Mixbook Coupon to get huge discounts. Do you like photo books? How do you preserve family memories?